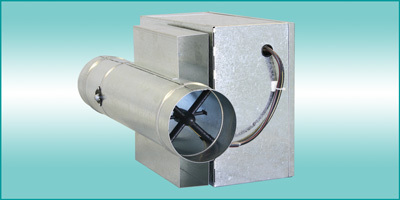 Round inlet and outlet for installation in round / spiral ductwork. Round inlet sizes from 5" to 16" diameter. Rectangular 24" x 16" available. Velocity wing sensor with 20 sensing points for extremely accurate airflow sensing – fire retardant ABS plastic.